Quentin Jacobsen - Q to his friends - is eighteen and has always loved the edgy Margo Roth Spiegelman. As childrena they'd discovered a dead body together. Now at high school, Q's nerdy while Margo is uber-cool. One night Margo persuades him to participate in several hours of may... read full description below. <span lang="EN-GB">John Green is an award-winning, New York Times bestselling author of several YA novels including THE FAULT IN OUR STARS. He has received numerous accolades including the Printz Medal, a Printz Honor and the Edgar Award. John is also one half of the Vlogbrothers (youtube.com/vlogbrothers). 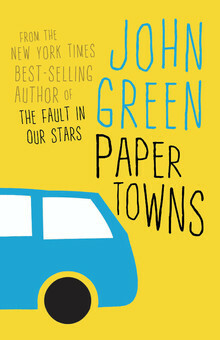 You can join the millions who follow John on Twitter (@johngreen) or visit him online at johngreenbooks.com and fishingboatproceeds.tumblr.com. John lives with his wife and son in Indianapolis, Indiana.